30 – 50 years old? Living month to month on a never ending bill cycle? It’s no secret that if you have property, you have a stable income. You can reduce tax and build for retirement. You can achieve financial security and certainty … stress free. It’s not rocket science. It’s a proven system. And we know it works – because we’ve used our system to help thousands of regular Australians achieve their finance goals by building property investment portfolios, reducing their debt and adding security and certainty to their future. 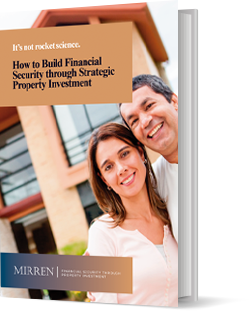 We use a five-step process for helping you create a property investment portfolio that will keep you secure and certain in retirement. In our first meeting, we will uncover your purpose, your goals and motivations and delve into your current lifestyle and how that affects your goals. We give you a snapshot of what may be possible, and we show you how ordinary Australians are able to use property to their advantage. We often find clients leave this first meeting excited, buzzing and unable to sleep as the possibilities seem endless, and the road ahead seems exciting and full of opportunity. 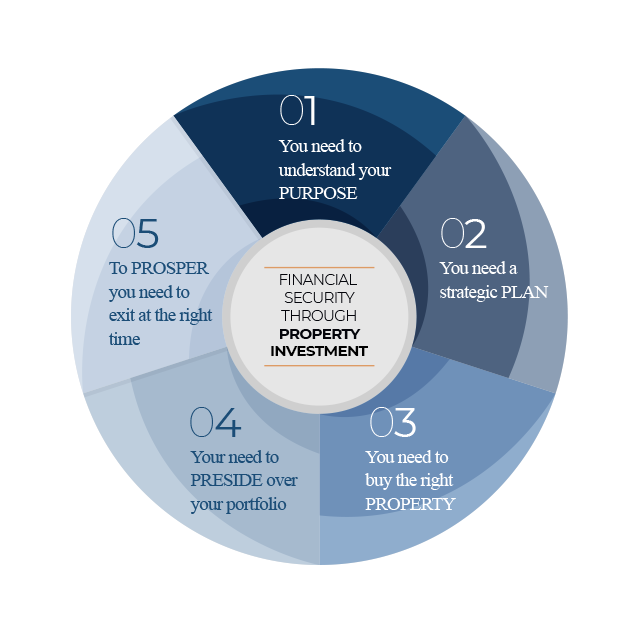 Once we have a thorough understanding of your goals and motivations, we work hard to create a plan and strategy that will deliver security through property investment. Our job is to make this process stress free, fun and engaging. We consider infrastructure and development, capital growth indicators, shopping, schools, public transport and rental histories. Our deep understanding of markets in each region around the country helps us to make location decisions based on a proven strategy, rather than potluck. Our relationship with builders and developers across the country gives us priority access to house and land information much earlier than the public … meaning a better deal for you! We look after your finance applications and look at strategies to handle any ‘curve balls’ life may throw at you. We ensure you always have a built-in safety net with adequate cash flow for up to six months, in case of unplanned expenses. And we delve into tax reduction and the potential for capital growth on these properties. At our next meeting we present two properties we feel match your financial situation and goals. These properties are fixed price, brand new, turnkey properties in excellent locations geared for growth. Our complete solution is seamless … and some may even call it fun. We handle all the fiddly things like paperwork, insurances, finance, property managers and yes, even tenants. We even have property specialists for your tax depreciation schedules – you’ll appreciate that at tax time! 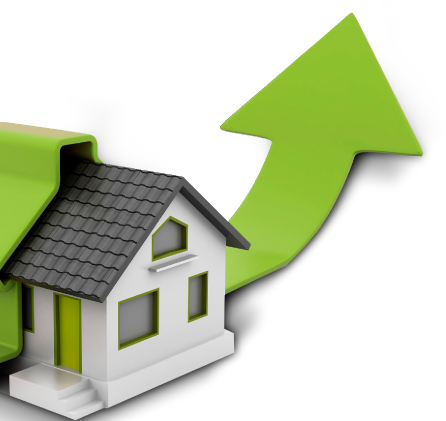 Watching your property portfolio grow is one of the most satisfying experiences you can have financially. For some busy people this is a ‘set and forget’ process, while others take a more active interest. We meet for quarterly meetings to crunch the numbers and make projections. We discuss the timing of the next property purchase so you know in advance what the next move is going to be. We maintain regular contact with the property manager to tackle any issues that may arise. Clients say these regular meetings leave them feeling secure and certain, knowing that the road ahead is solid. Our proven investment solution plays out over a 10 year period, with many clients paying off their home loan mortgage in under seven years … and picking up more investment properties along the way. We help you use your current income and your current expenses to achieve a superior outcome. Now is the time to prosper. But it’s also the time to be smart. Should you buy? Should you sell? Our proven strategy means that we move quickly and smartly when we need to. While the timing of purchasing a property is important, so too is your exit strategy. Our deep understanding of the housing and investment market and the complex tax depreciation benefits helps us to know the best time to exit, which means you won’t be throwing away hard earned profit.